Sanskrit word Charan (Sanskrit चरण) literally refers to foot, support and good conduct. Charan is also used for pillar. Charan is found to be mentioned in various Epics of Hindu mythology like Harivansh (हरिवंश) where Charan means pillar or support. Reference of this name is also found in Gobhil-Shraddh-Kalp (गोभिल-श्राद्ध-कल्प), Manu-Smiriti (मनु-स्मृति) and Mahabharata where Charan means foot. Writings of author Panini (पाणिनि), Nirukt (निरुक्त) and Panchtantra (पञ्चतन्त्र) also mentions Charan in them as a branch of Veda. Charan also finds reference in Arthav Veda (अथर्व वेद), Shatpath-Brahman (शतपथ-ब्राह्मण) and Katyayan-Shraut-Sutra with meanings like acting, dealing and managing. 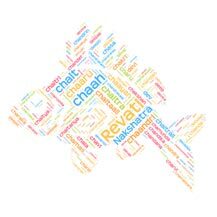 Charan finds reference in Kaushika Sutra and Mahabharata where this word refers to good or moral conduct. Charan is a popular name in the USA. 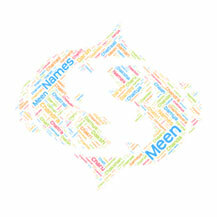 According to the graph shown above Charan is used by more than 125 people in the USA as the name of their kids. Charan is a very popular name in India. Here Charan is used by nearly 2000 people as the name of their children. Charan is easy to pronounce and common name with good meaning attached to it. Charan Raj is an Indian film actor, director, music director, film producer and writer, primarily works in Tamil and other southern languages. Charan is a caste living in the Sindh, Rajasthan and Gujarat states of India. Charan Singh was the Fifth Prime Minister of the Republic of India, serving from 28 July 1979 until 14 January 1980. Actor Charandeep, who rose to fame with his antagonist roles in Tamil films such as “Jilla” and “Sigaram Thodu”. Ratnapriya (Hindi: रत्नप्रिया) is a common Hindu name for gi..
Ritkriti (Sanskrit रित्क्रिति) is the ancient Sanskrit girl .. The boy name Vishv (विश्व) is derived from Sanskrit. It mean..